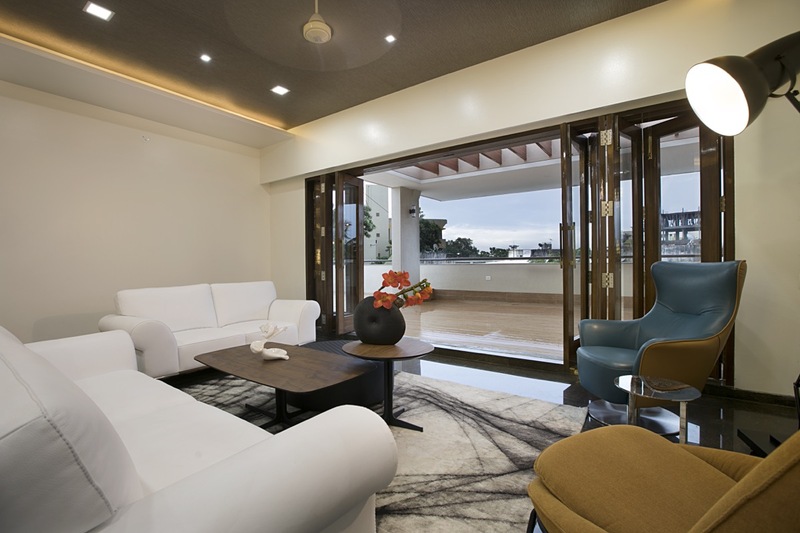 Appreciation of a space or of an object has always been there in its part; however the perception of both happens holistically. 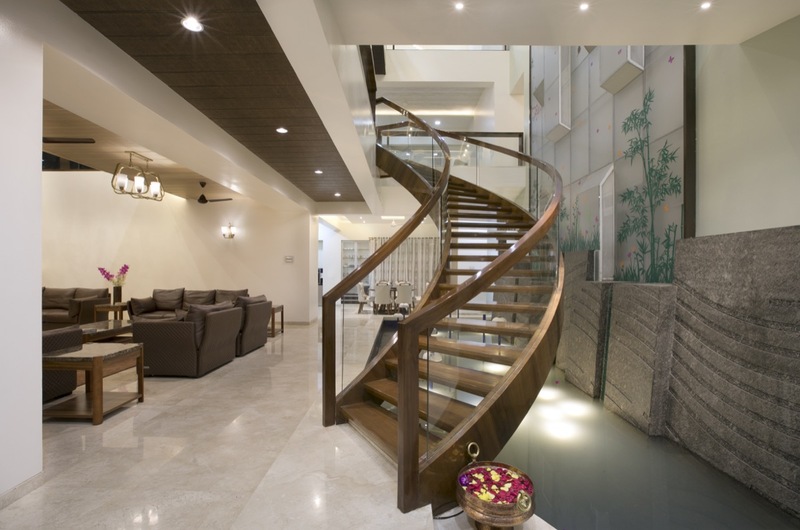 Associatively is generally, a sectoral and experience is always all encompassing. 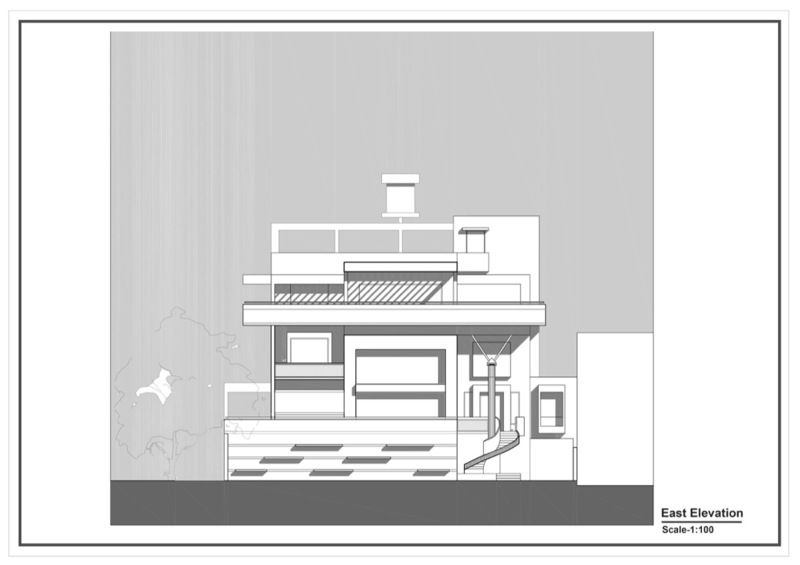 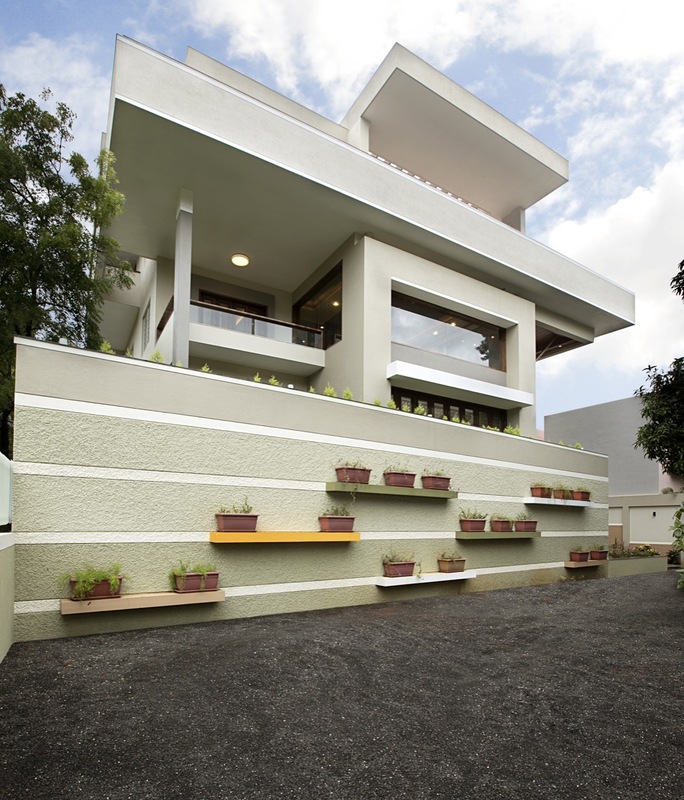 This forms the basis of design approach for collage house. 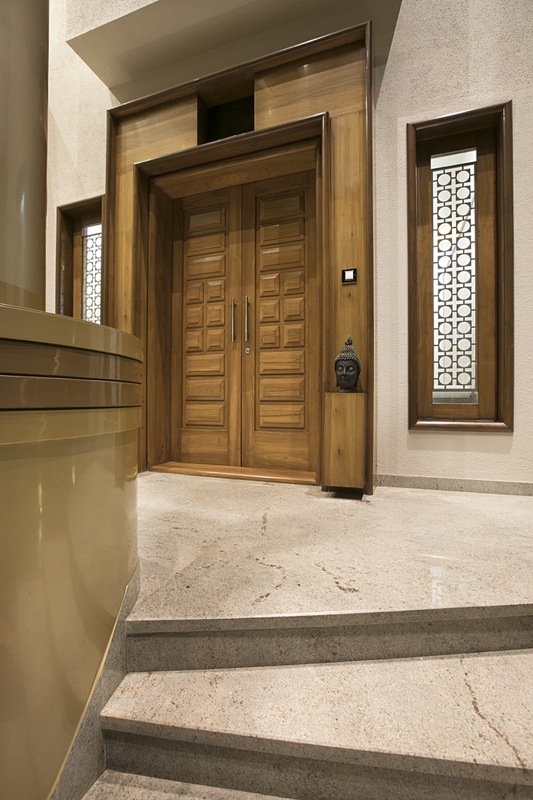 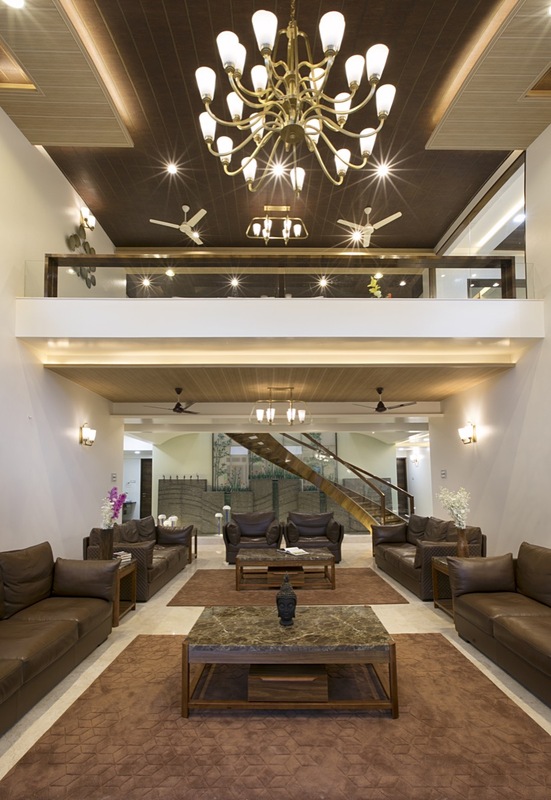 Celebrating the nuances of a Big Joint Indian family under one roof, which nourishes individual identity of all family members spanning across three generations is always a unique design opportunity. 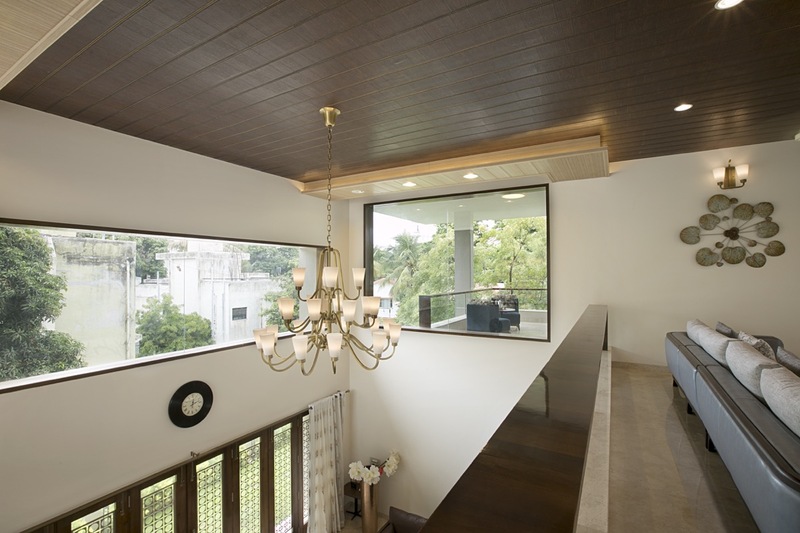 It is the choreography of parts that has allowed the wonderful living experience to this architectural endeavor. 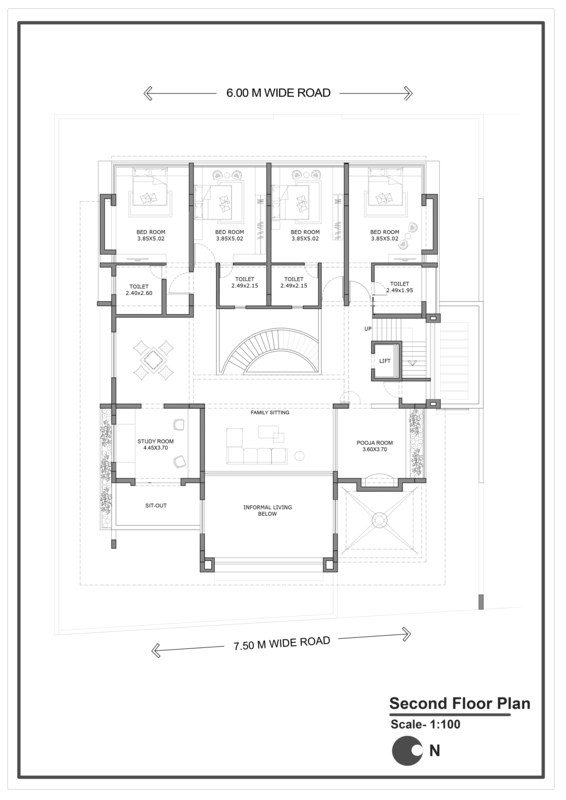 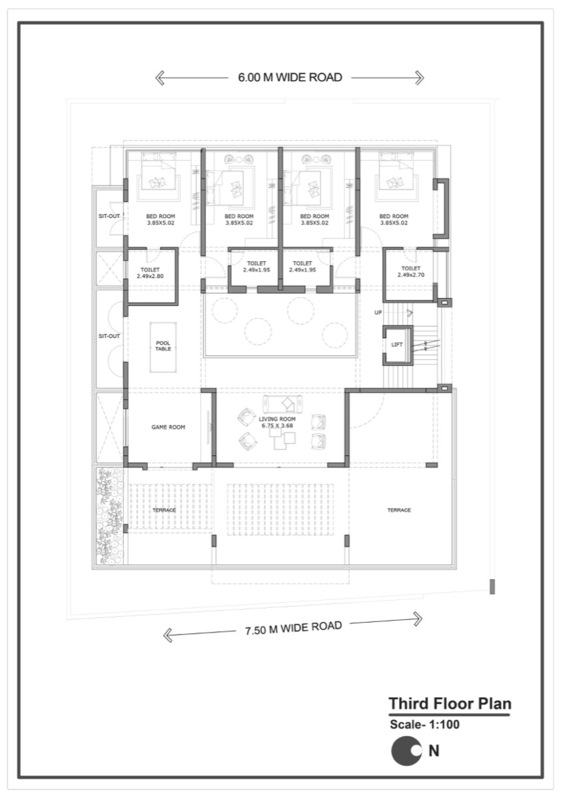 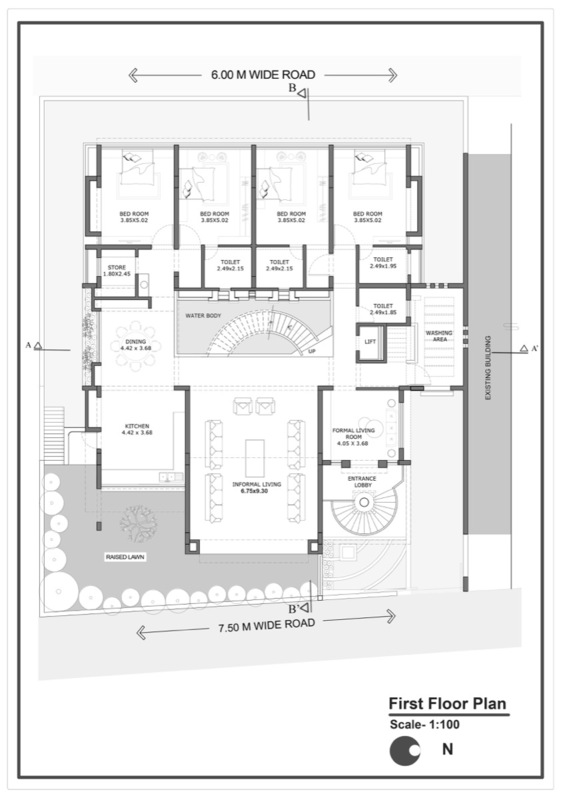 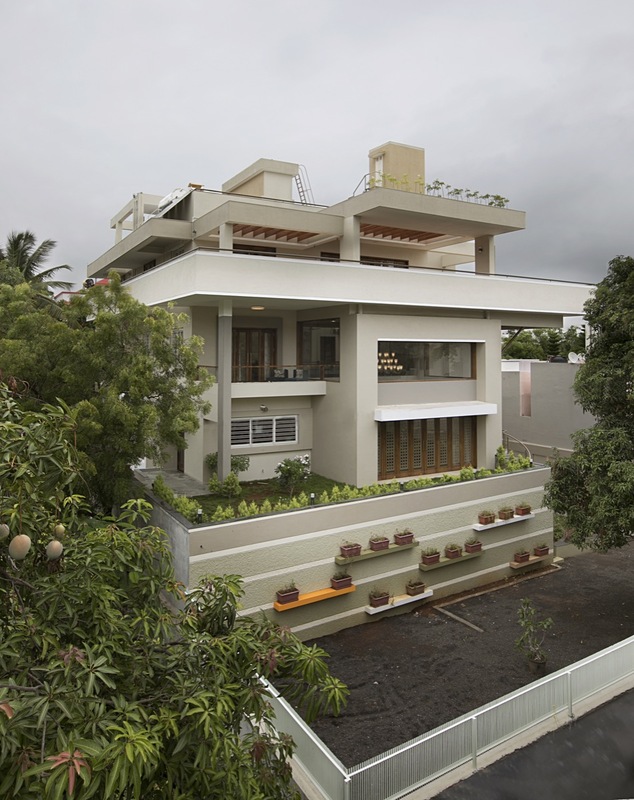 What began on a simple brief to design a house of family of 3 brothers, their elder mother & six young children, started from the amalgamation of & individual plots to create an opportunity for one large house. 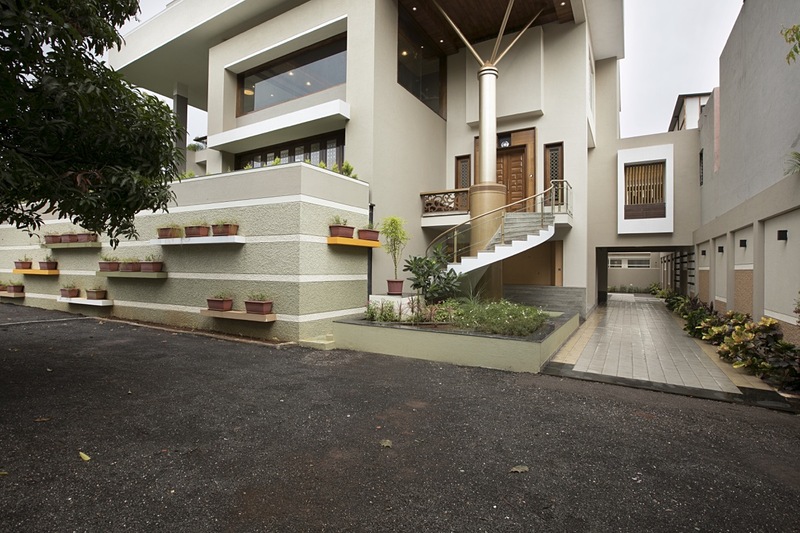 The design strategy offered either sides separating public & private interface where main entrance of the house is elevated with a delicate spiral staircase & a welcoming huge cantilevered canopy meaning a majestic sense of arrival, the comparatively modest entrance to office & servant from other road allows good segregation of public & private. 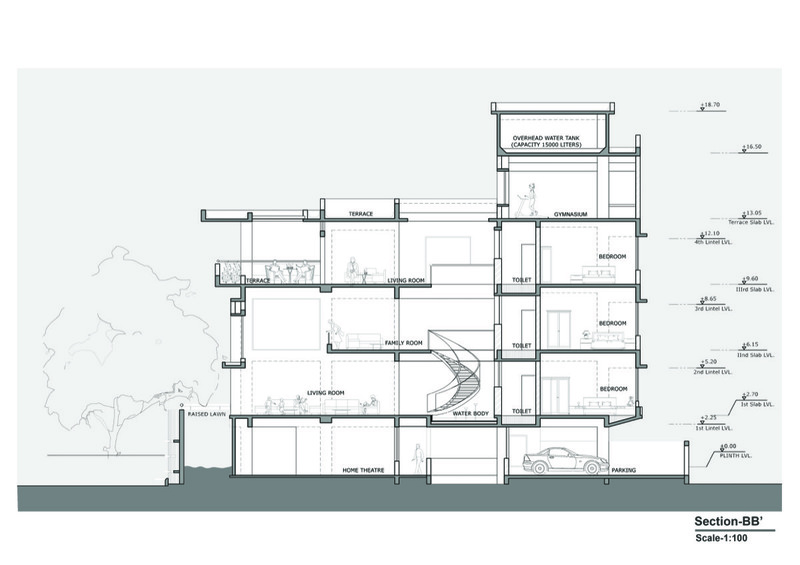 On arriving at the lounge, carefully calibrated interplay of compressed volumes & exploded double height atriums keeps the experience constantly vibrant. 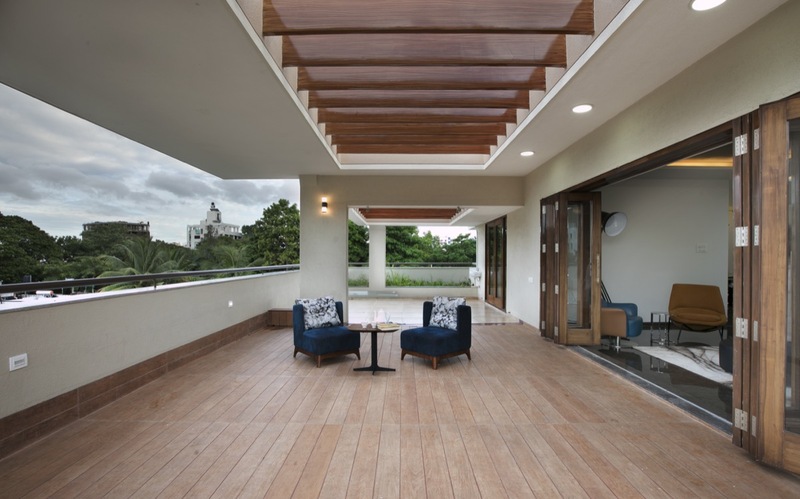 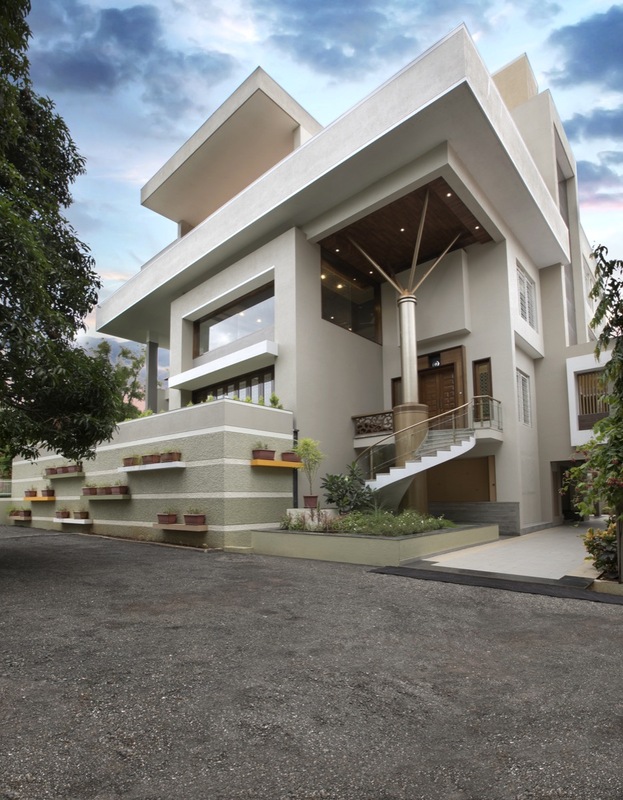 The large openings protected by elaborate cantilevers & beautiful stroke of light through roof ensure that there are enough tranquil spaces in the house but not a single dull one. 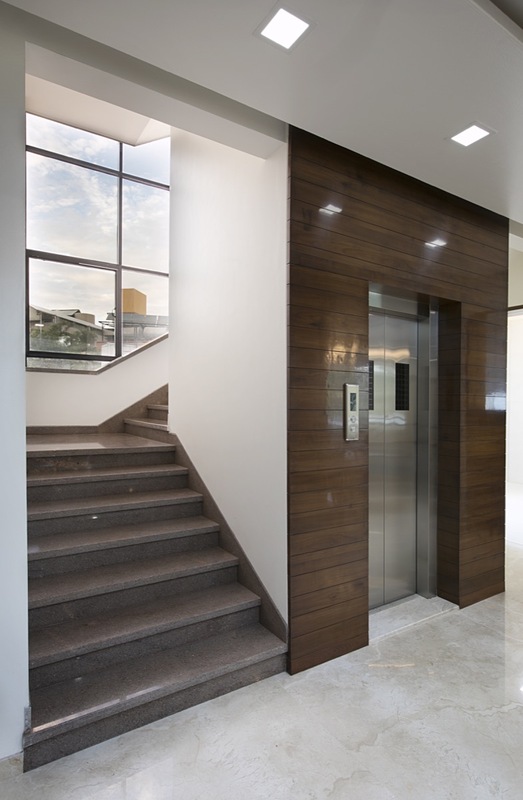 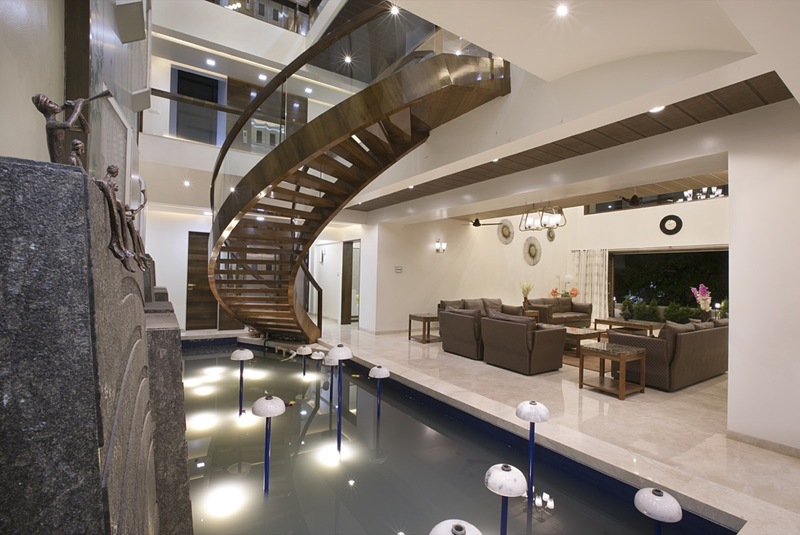 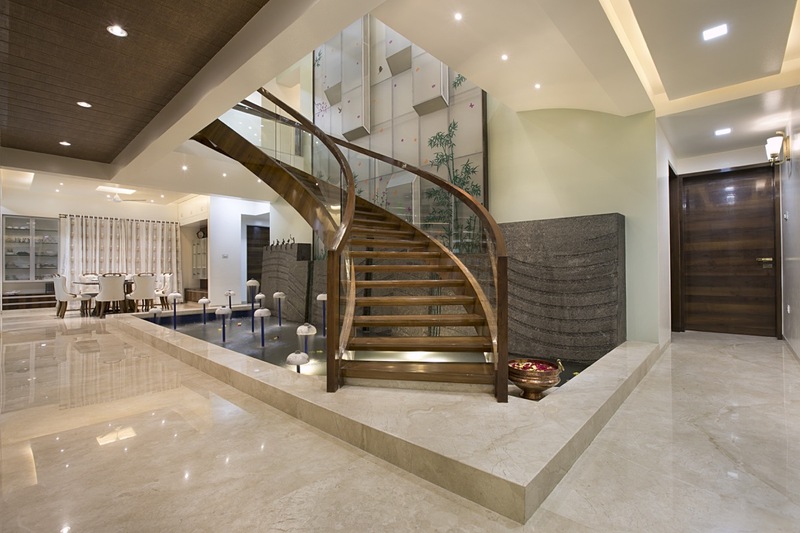 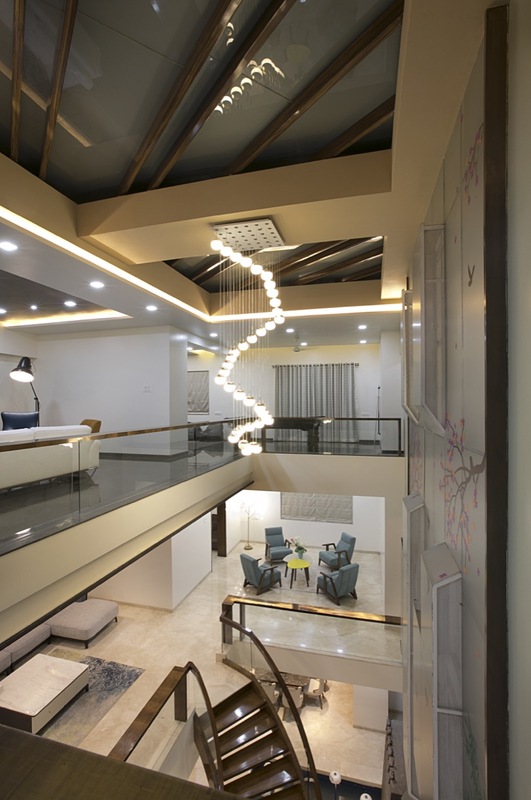 The sweeping flight of staircase in the 12m height atrium makes the core of the house visually & physically permeable. 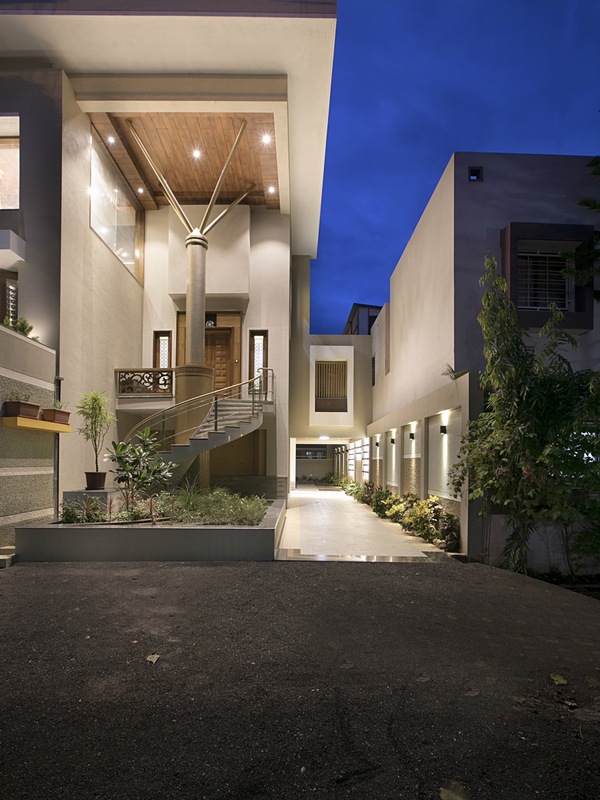 The cascading sectoral lines ensure hierarchical common spaces inside the house & on the other side of the atrium, modularly stacked bedrooms creates more intimate zones. 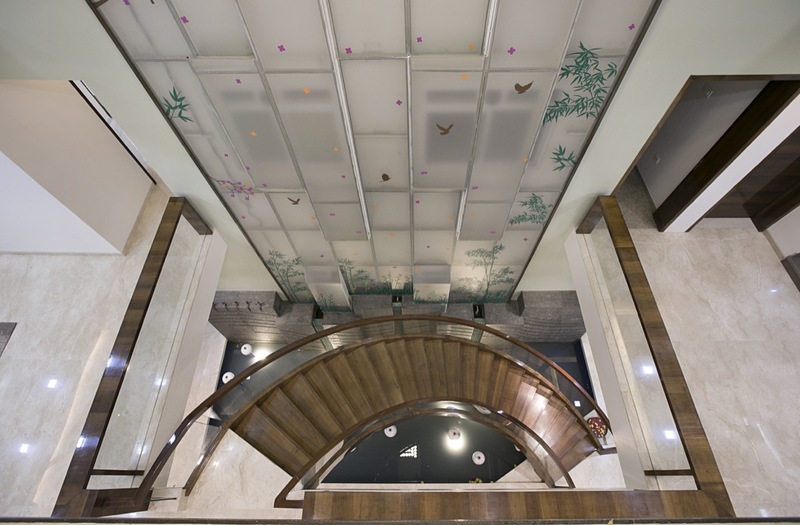 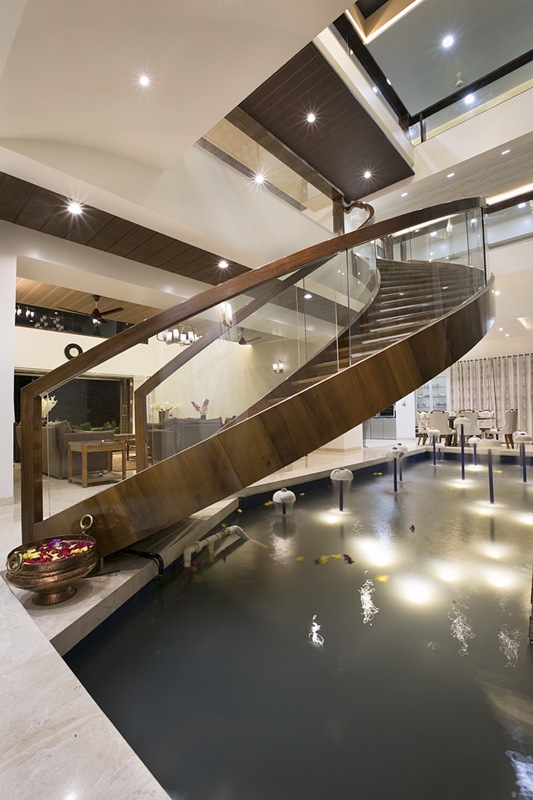 Each space connects to the sky through large openings , the sky light & cascading water soothes the space acoustically. 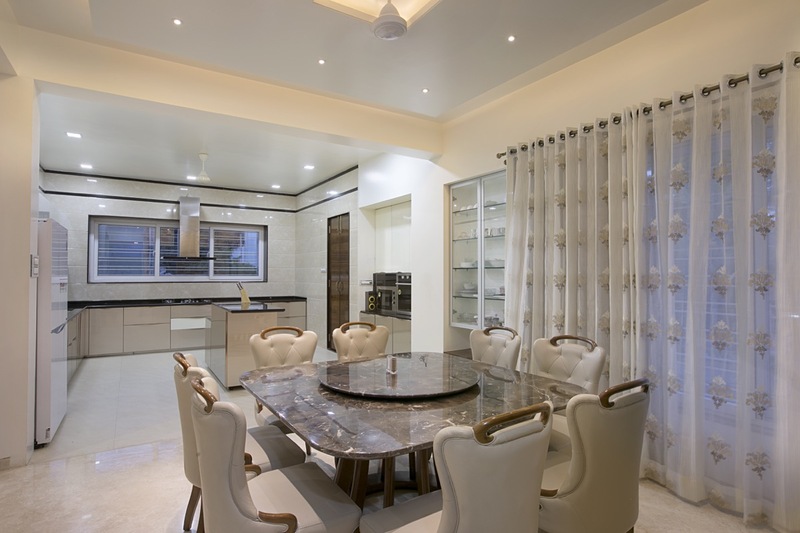 There are spaces for organized formal family interactions. 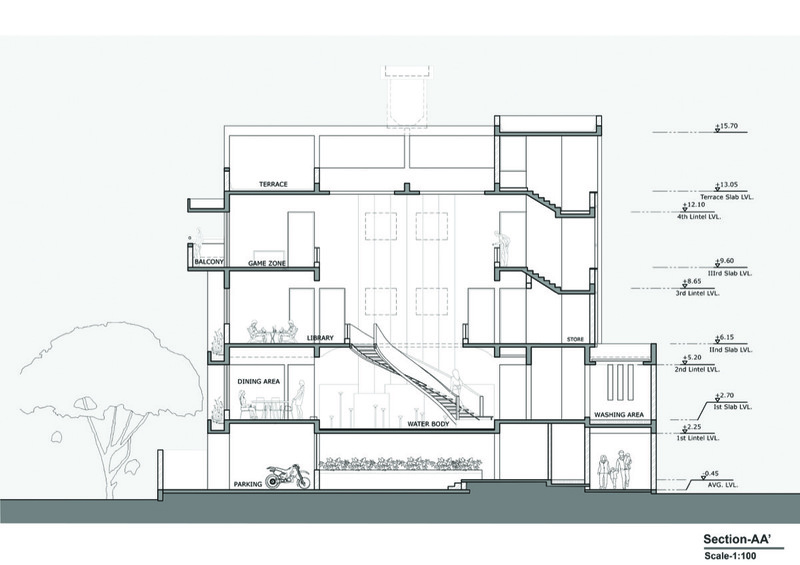 There is a spatial hierarchy from slightly compressed volumes to exploded triple height atrium to double hight overlooking family spaces. 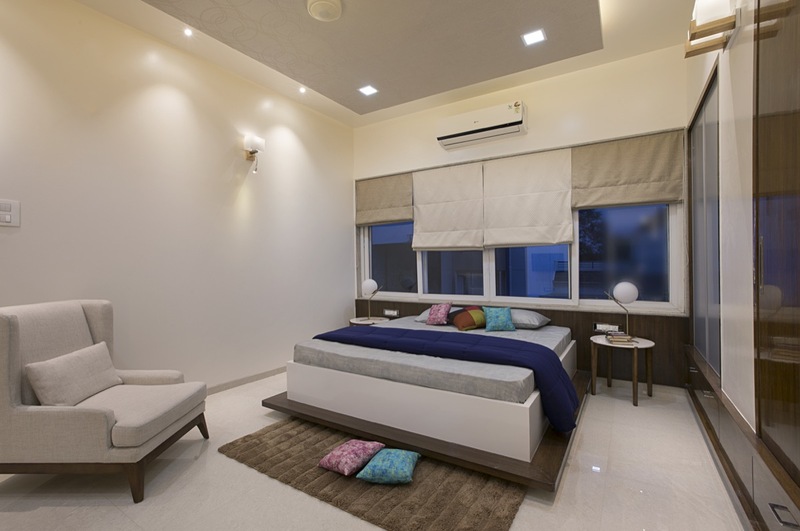 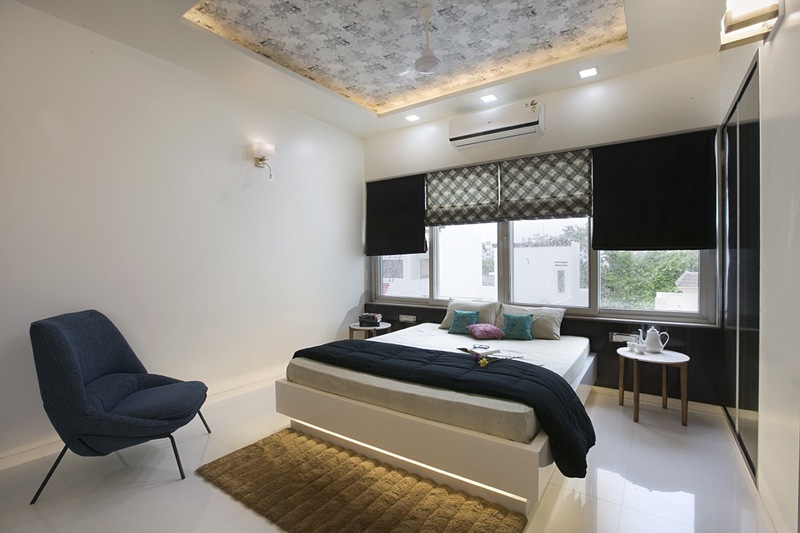 There are 12 bedrooms, each tastefully designed to the specific preferences of the occupant, whether a teenager or are adult or a 70 year old grandmother of the family. 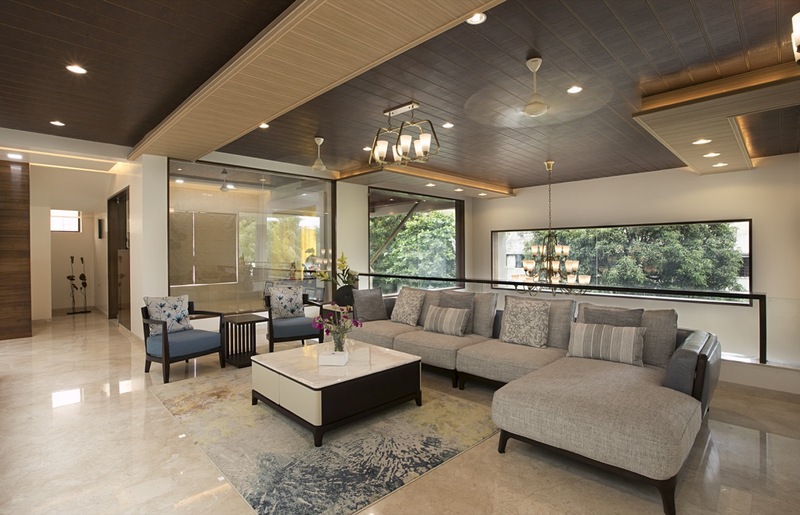 The diverse preferences of 14 people from 20 to 70 age group demanded a very diverse spatial preferences & aesthetics, however being a family; it also needed a comprehensive identity, a thread that binds the family together. 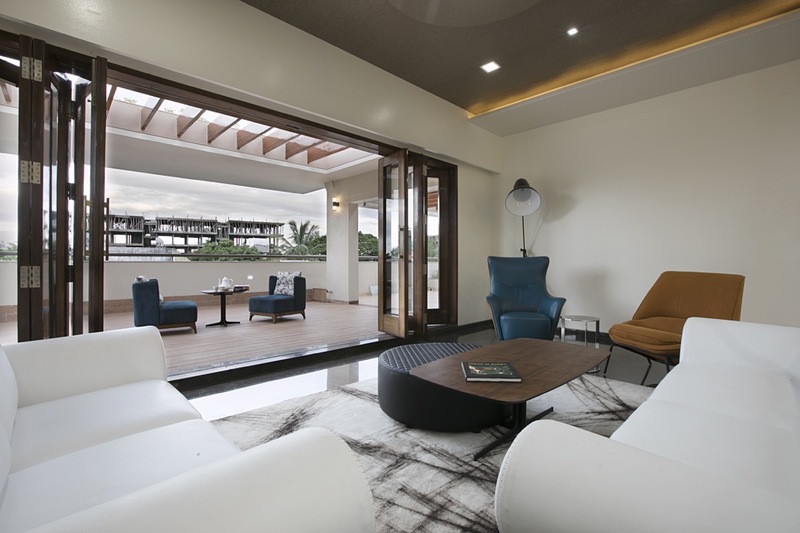 Beside its physical characteristics, the house allows each member of the family to nourish their individual character but at the same time celebrates the collective identity. 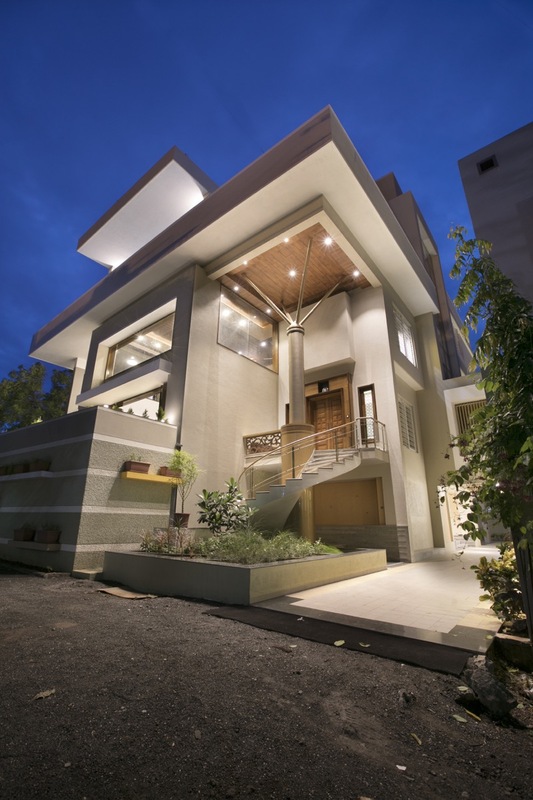 This is the true success of this challenging project. 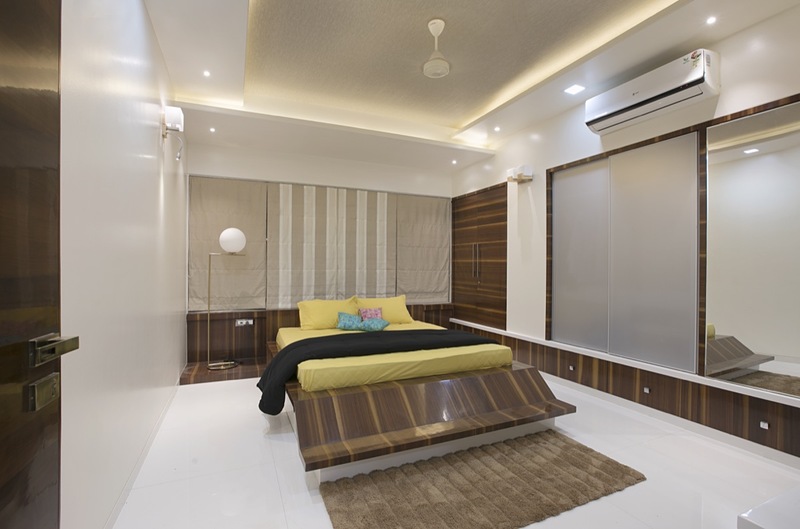 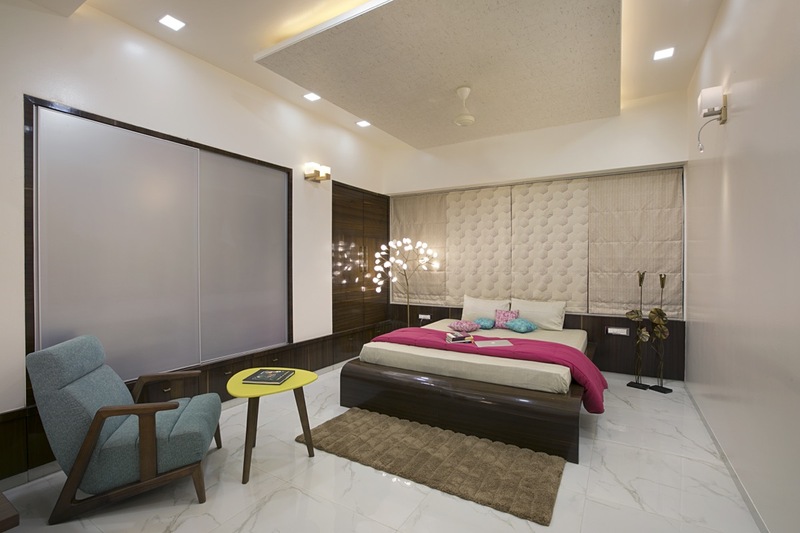 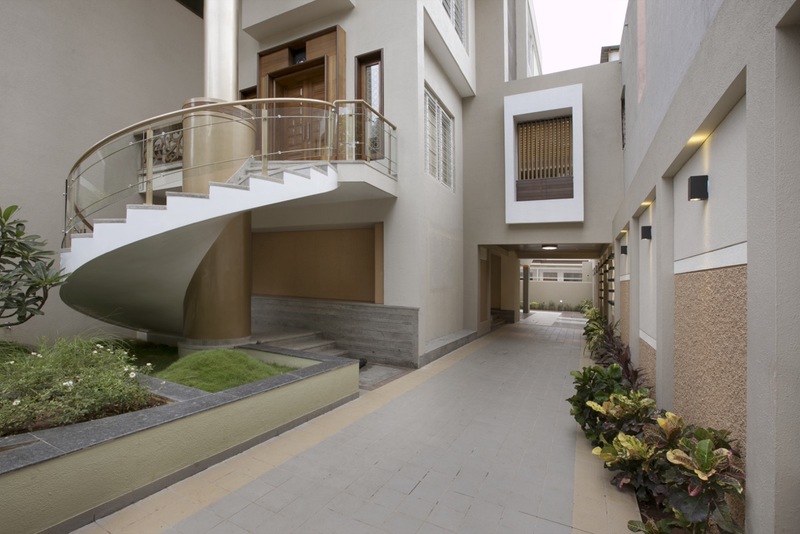 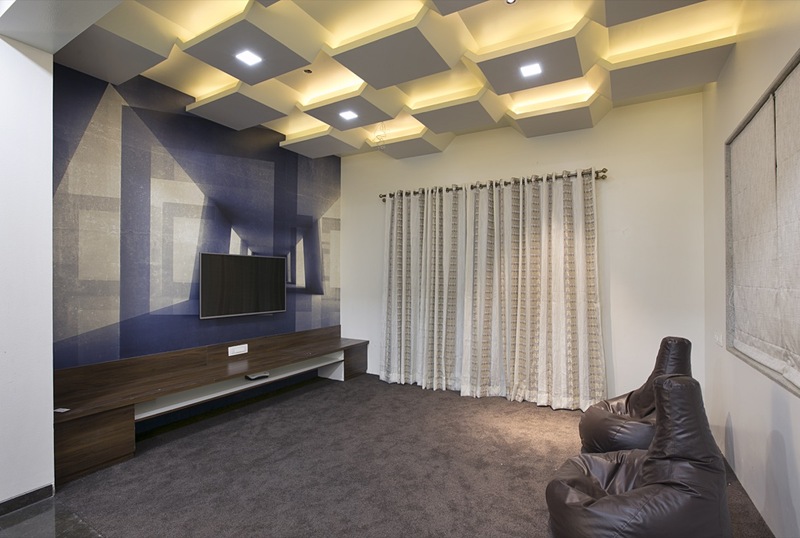 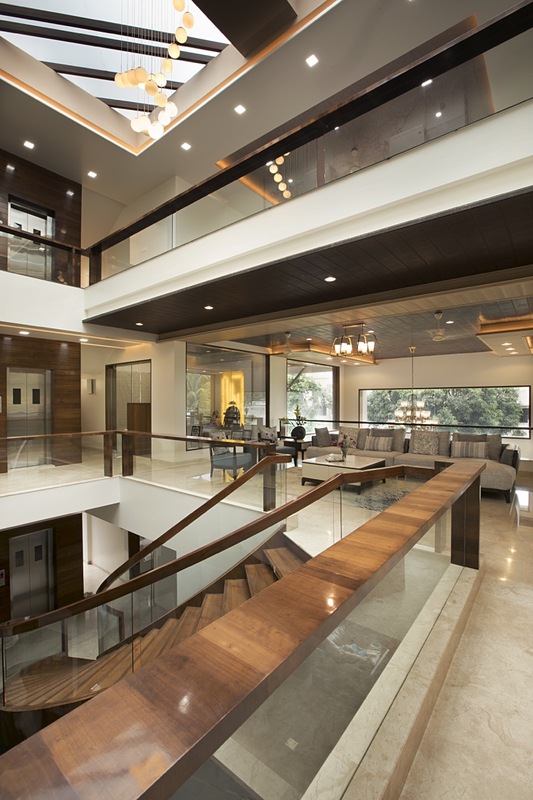 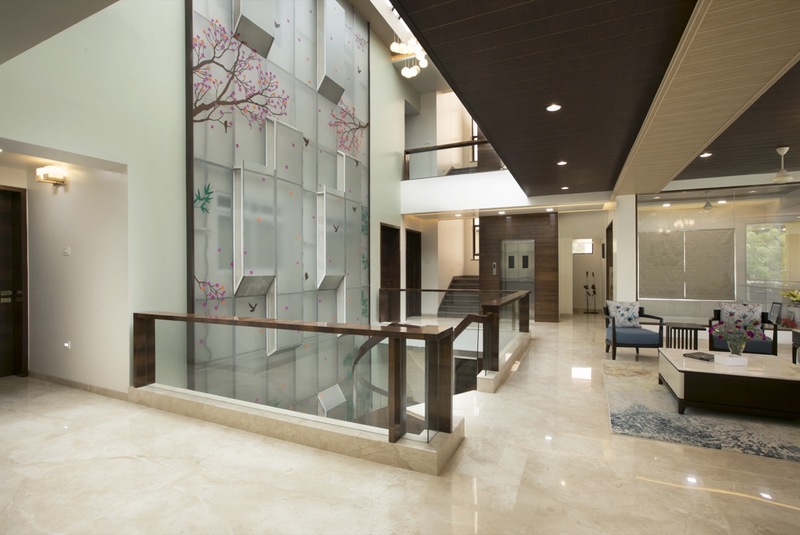 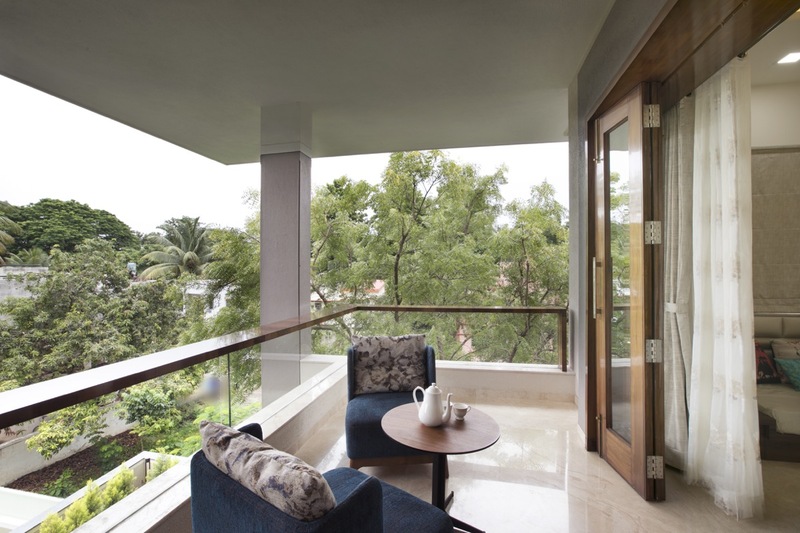 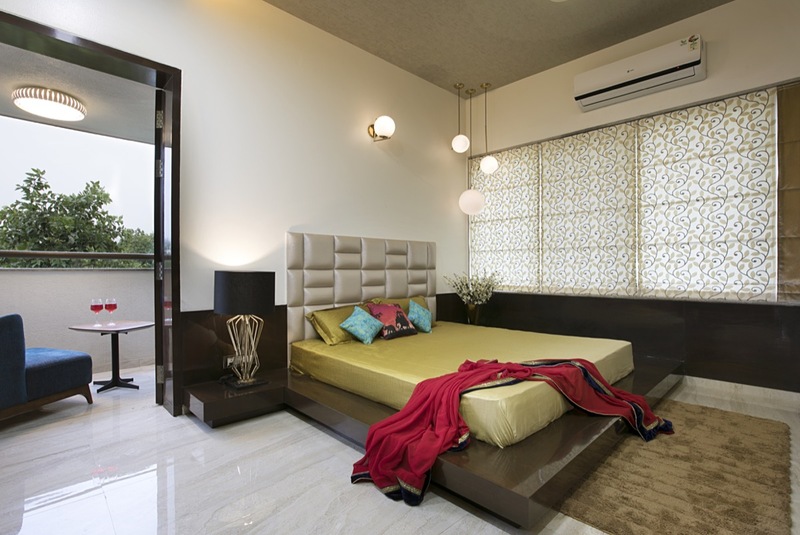 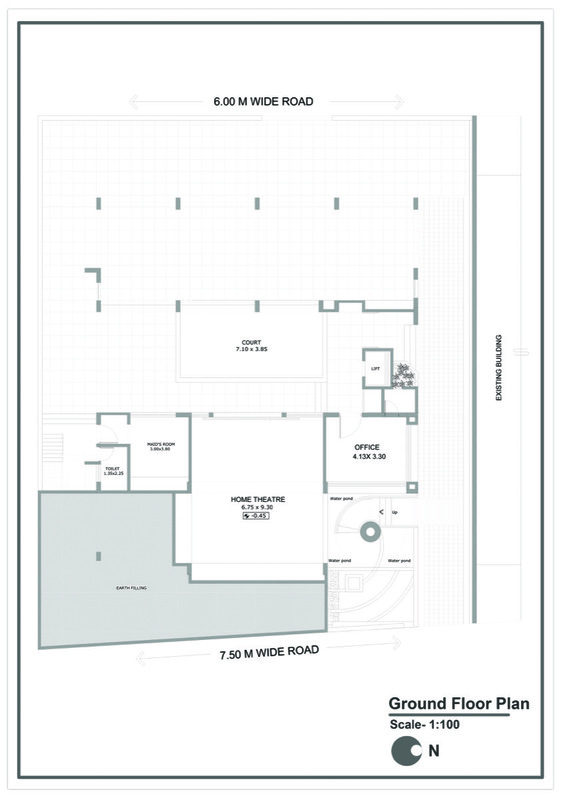 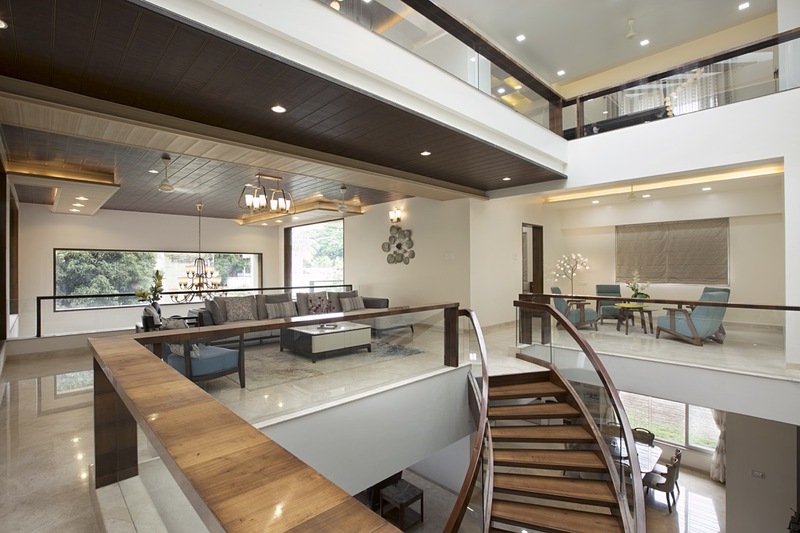 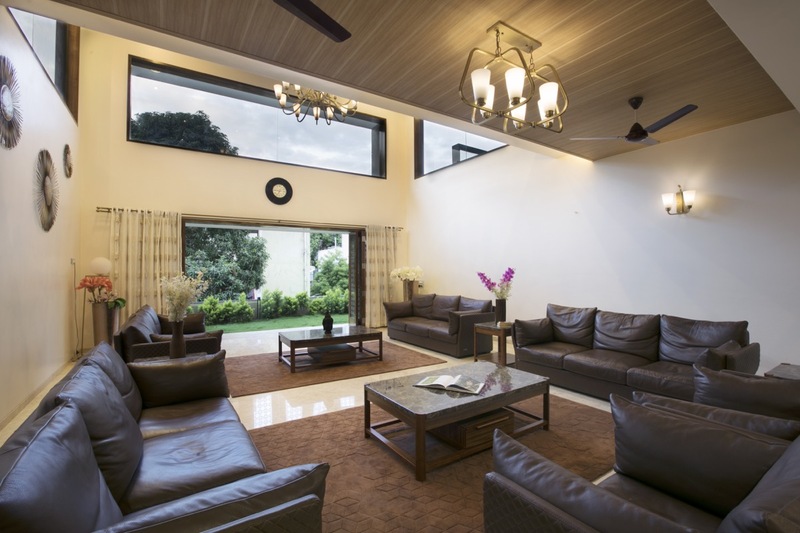 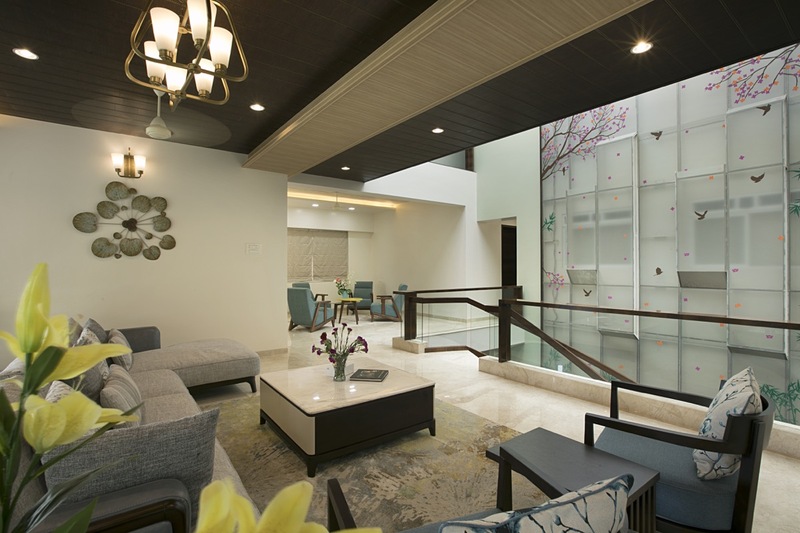 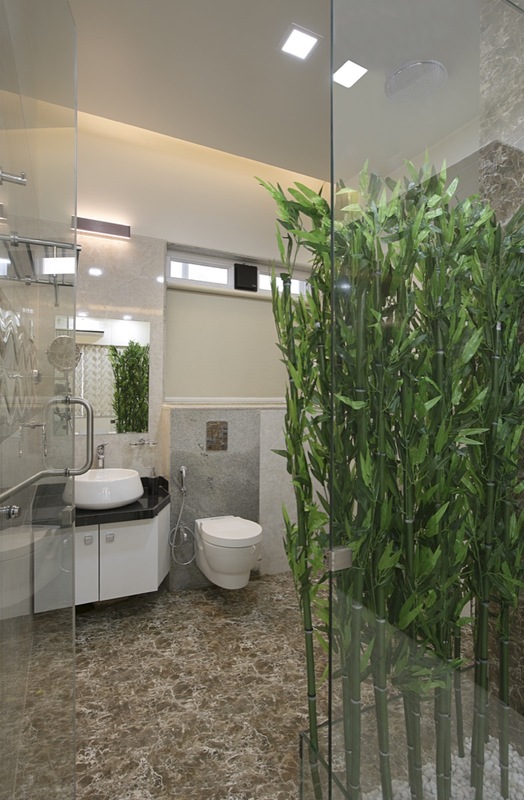 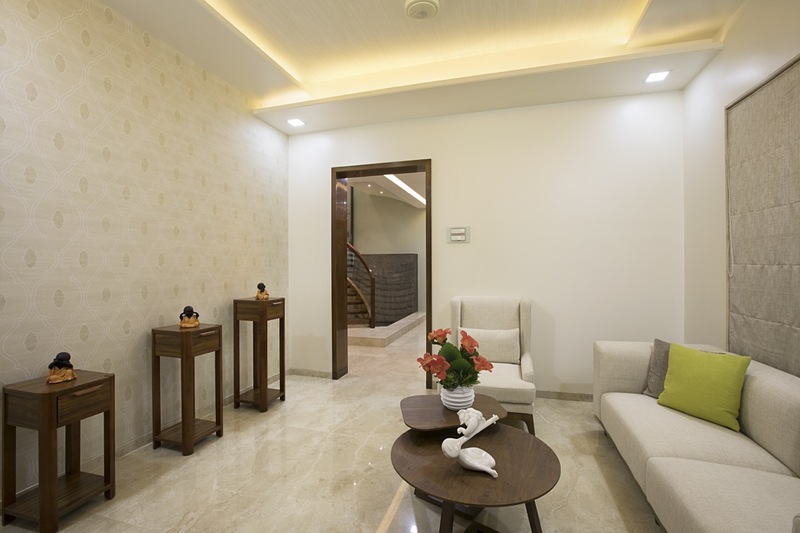 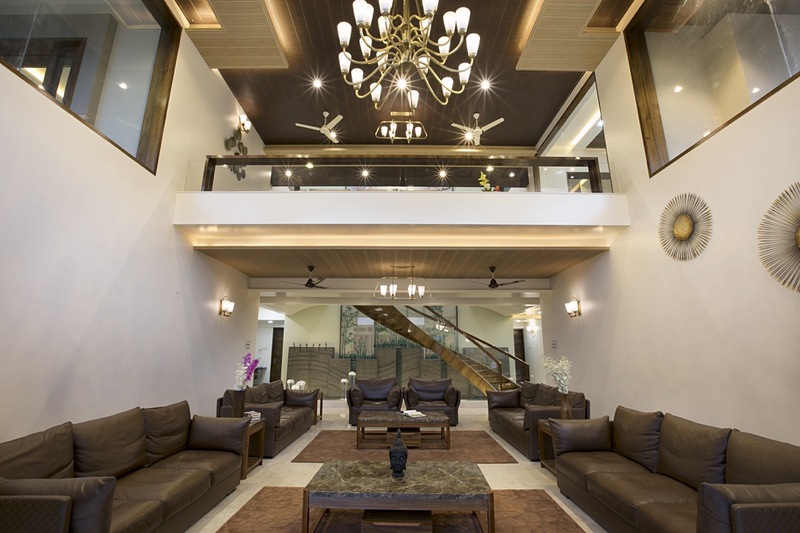 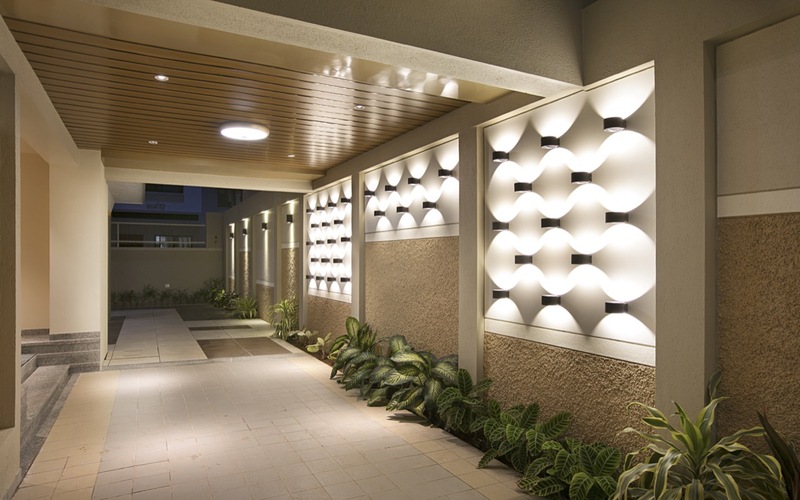 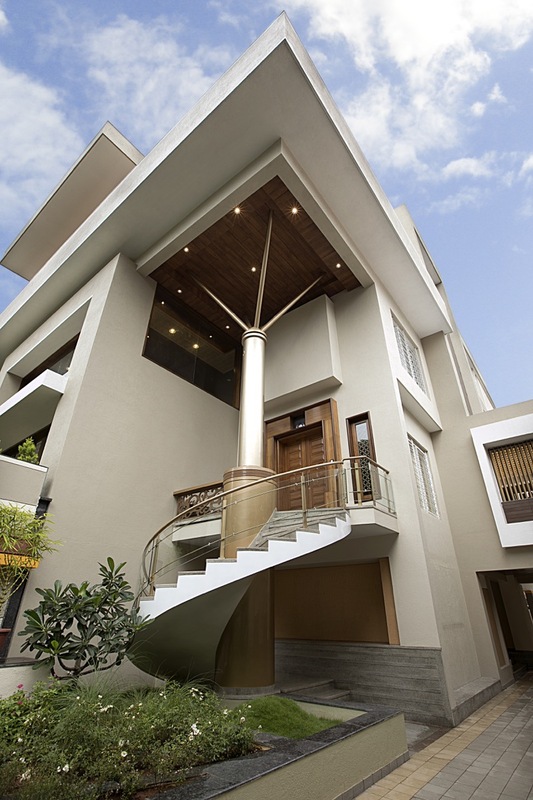 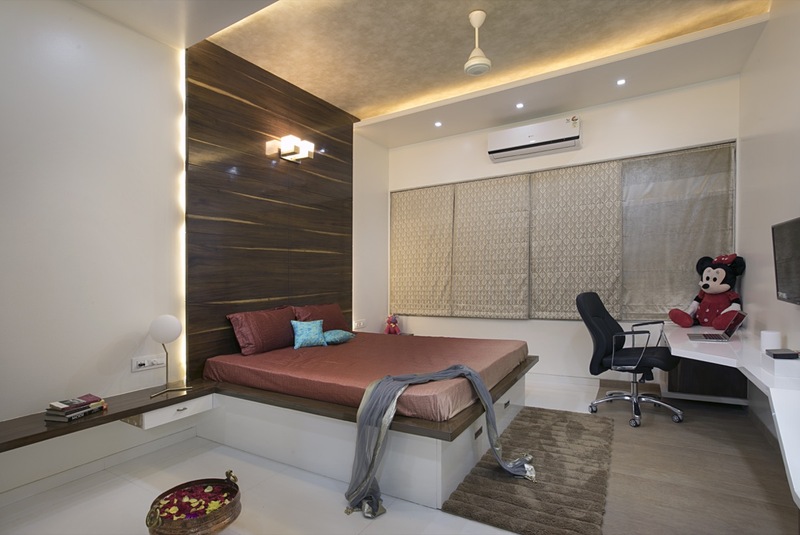 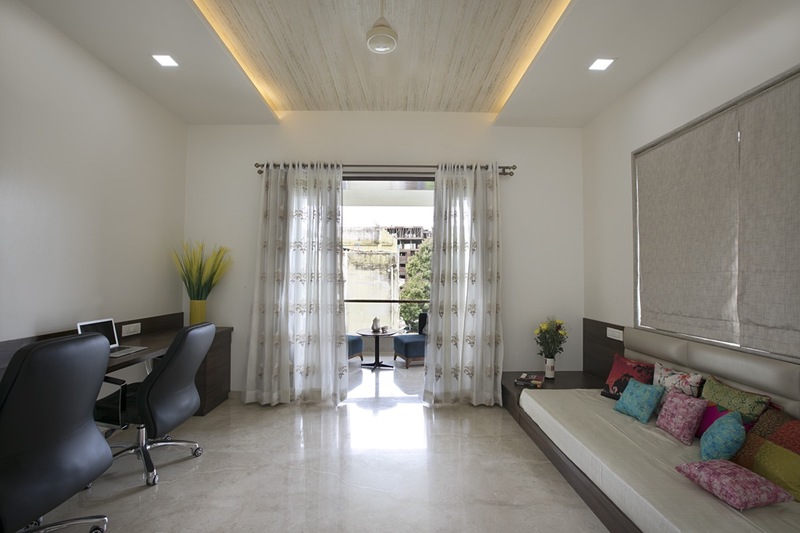 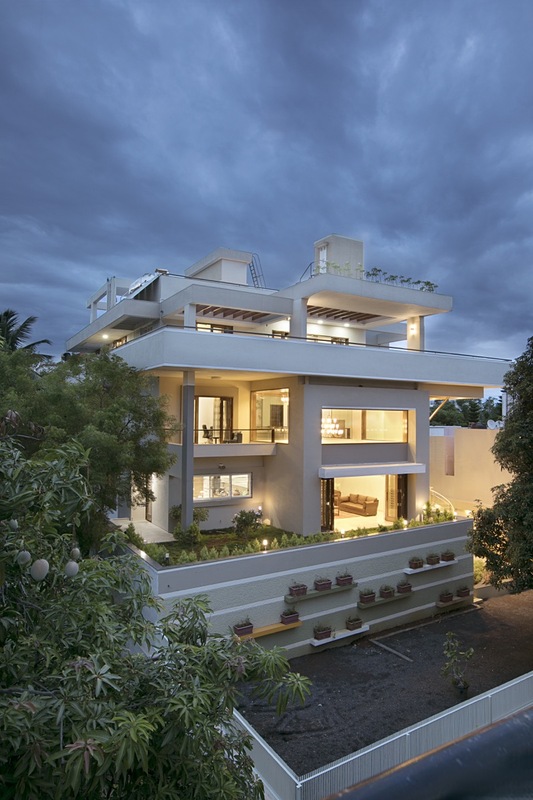 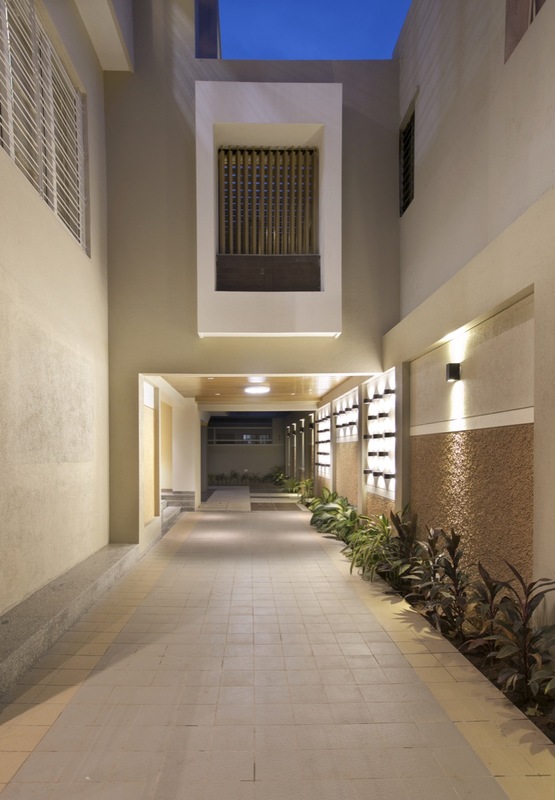 Raut Residence is a truly a “ Whole” which is greater than sum of its parts.